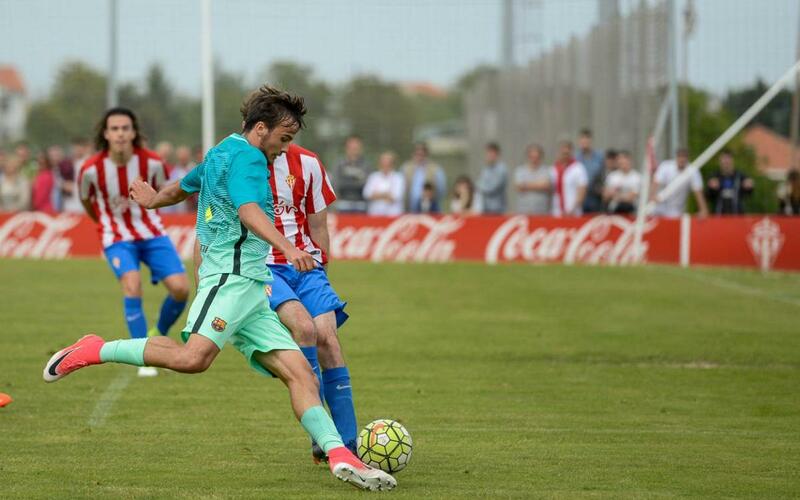 FC Barcelona's under-19s are through to the quarter-finals of the Copa del Rey after a 3-0 win (4-1 aggregate) over Sporting Gijón. The youngsters, following the 1-1 draw at home in the first leg, travelled to Asturias knowing they had to get a favourable result to overturn the hosts' slight advantage. Despite having the better of the first half, Barça were forced to remain persistent in their goal. And so they did. On the hour-mark, they finallly got their reward, as Jeremy Guillemenot executed a perfect penalty to make it 1-0 for Barça. Then, the killer blows were dealt in quick succession, first through Guillem Jaime (2-0, min 69), followed by Dani García (3-0, min 72) to cruise into the last eight of the cup.